Designer Kevin Price is seeing red — as in the Red Ledges community in Heber City, Utah. Price has shaken up the development by designing 22 custom homes, many with DaVinci Roofscapes polymer shake roofing tiles. 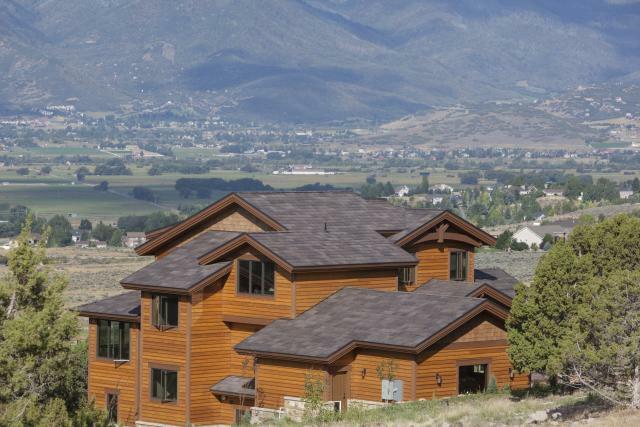 "This development started with the edict that all roofs must be natural wood shake," says Price, president of Kevin Price Designs in Park City, Utah. "That just didn't make sense to me. Natural wood shake is a fire risk not worth taking and it doesn't hold up well in this part of the country. I lobbied Red Ledges to try an alternative roofing product. Of the options, DaVinci was a clear cut ahead of every other product. "They approved the DaVinci synthetic shake tiles immediately when they saw the realistic look of the shake shingles. Since then I've specified it on every home I've designed in Red Ledges. Now I'm working on getting DaVinci slate alternative roofing tiles specified in the same development." According to Price, the designs of his 5,000-square-foot homes are dictated by the views and the personalities of his clients. The commonality of the designs in Red Ledges is that they all capture stunning Timpanogos Mountain vistas and are created to complement the natural landscape. "Since the roof in this desert setting takes the most abuse from the sun and weather, it needs to be both functional and aesthetically pleasing," says Price. "Both the Multi-Width Shake and Bellaforté Shake lightweight roofing materials we've been using capture both desires perfectly." surface. Multiple widths of the shake tiles help create a more natural, non-repeating appearance on the roof and can be laid in either a straight or staggered pattern. 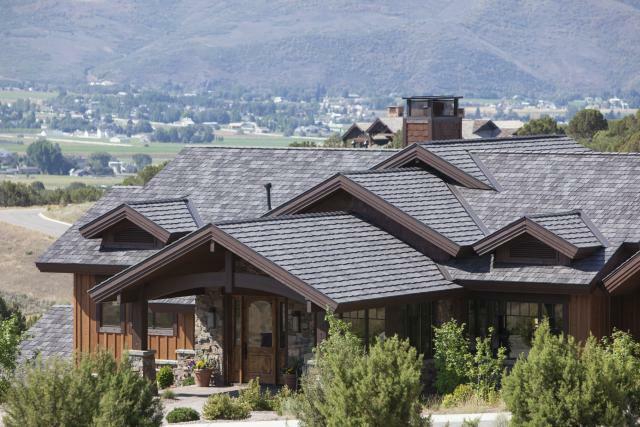 Designed to realistically resemble real cedar shake roofing tiles, Bellaforté Shake installs quickly thanks to the product’s patented features, which include a leading edge tab and a self-aligning ledge. All DaVinci simulated shake roofing resists impact, fire, algae and insects. "With a 50-year limited warranty these DaVinci composite roofs will last for decades," says Price. "The bottom line is that the DaVinci polymer products make my homes look good … and that's good for my reputation and business." For more information on durable DaVinci roofs, see Multi-Width DaVinci Shake Tiles – Providing a "Premium Shake" Look to Your Home.